Her Majesty's Prison Maze (known colloquially as Maze Prison, The Maze, The H Blocks or Long Kesh) was a prison in Northern Ireland that was used to house paramilitary prisoners during the Troubles from mid-1971 to mid-2000. It was situated in the former Royal Air Force station of Long Kesh, on the outskirts of Lisburn. This was in the townland of Maze, about nine miles (14 km) southwest of Belfast. The prison and its inmates played a prominent role in recent Irish history, notably in the 1981 hunger strike. The prison was closed in 2000 and demolition began on 30 October 2006, but (as of 2010) has been halted. Following the introduction of internment in 1971 "Operation Demetrius" was implemented by the Royal Ulster Constabulary (RUC) and British Army with raids for 452 suspects on 9 August 1971. The RUC and army arrested 342 Catholics, but key Provisional Irish Republican Army (IRA) members had been tipped off and 104 of those arrested were released when it emerged they had no paramilitary connections. Those behind Operation Demetrius were accused of bungling, by arresting many of the wrong people and using out-of-date information. Later, some loyalists were also arrested. By 1972 there were 924 internees and by the end of internment on 5 December 1975 1,981 people had been detained; 1,874 (95%) of whom were Catholic and 107 (5%) Protestants. Initially the internees were housed, with different paramilitary groups separated from each other, in Nissen huts at a disused RAF airfield that became the Long Kesh Detention Centre. The internees and their supporters agitated for improvements in their conditions and status; they saw themselves as political prisoners rather than common criminals. In July 1972 William Whitelaw introduced Special Category Status for those sentenced for crimes relating to the civil violence. There were 1,100 Special Category Status prisoners at that time. Special Category Status for convicted paramilitary-linked prisoners gave them the same privileges previously available only to internees. These privileges included free association between prisoners, extra visits, food parcels and the right to wear their own clothes rather than prison uniforms. However, Special Category Status was short-lived. As part of the government's policy of "criminalisation", and coinciding with the end of internment, the new Secretary of State for Northern Ireland, Merlyn Rees, ended Special Category Status from 1 March 1976. 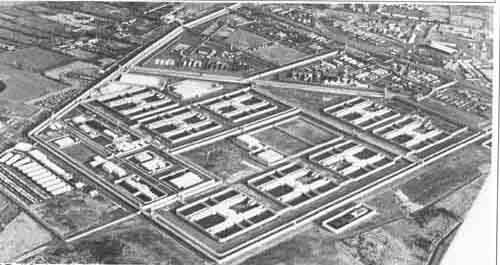 Those convicted of scheduled terrorist offences after that date were housed in the eight new "H-Blocks" that had been constructed at Long Kesh, now officially named Her Majesty's Prison Maze (HMP Maze). Existing prisoners remained in separate compounds and retained their Special Category Status with the last prisoner to hold this status released in 1986. Some prisoners changed from being Special Category Status prisoners to being common criminals. Brendan Hughes, an IRA prisoner, had been imprisoned with Special Category Status in Cage 11 but was alleged to have been involved in a fight with warders. He was taken to court and convicted then returned to the jail as a common prisoner and incarcerated in the H-Blocks as an ordinary prisoner, all within the space of several hours. 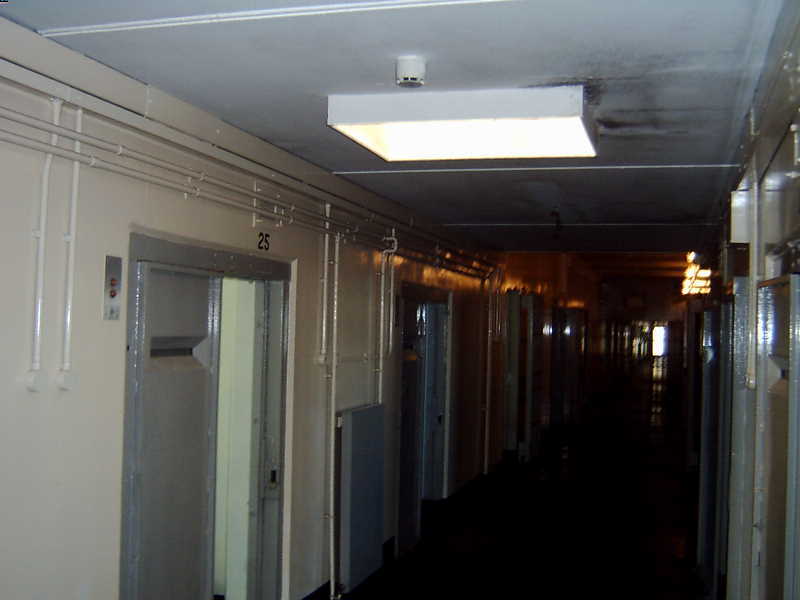 Prisoners convicted of scheduled offences after 1 March 1976 were housed in the eight new "H-Blocks" that had been constructed at Long Kesh, now officially HM Prison Maze. Prisoners without Special Category Status began protesting for its return immediately after they were transferred to the H-Blocks. Their first act of defiance, initiated by Kieran Nugent was to refuse to wear the prison uniforms, stating that convicted criminals, and not political prisoners, wear uniforms. Not allowed their own clothes, they wrapped themselves in bedsheets. Prisoners participating in the protest were "on the blanket". By 1978 more than 300 men had joined the protest. The British government refused to yield. Prison guards soon refused to let the blanket protesters use the toilets without proper uniforms. The prisoners refused, and instead began to defecate within their own cells, smearing excrement on the walls. This began the "dirty protest". But again the new 1979 government of Margaret Thatcher did not respond. Over the 1980s the British government slowly introduced changes, granting what some would see as political status in all but name. Republican and loyalist prisoners were housed according to group. They organised themselves along military lines and exercised wide control over their respective H-Blocks. The prisoners also played a significant role in the Northern Ireland peace process. On 9 January 1998, the British Secretary of State for Northern Ireland, Mo Mowlam, paid a surprise visit to the prison to talk to members of the Ulster Defence Association/Ulster Freedom Fighters (UDA/UFF). They had voted for their political representatives to pull out of talks. Shortly after Mowlam's visit, they changed their minds, allowing their representatives to continue talks that would lead to the Good Friday Agreement of 10 April 1998. Afterwards, the prison was emptied of its paramilitary prisoners as the groups they represented agreed to the ceasefire. In the two years following the agreement, 428 prisoners were released. On 29 September 2000, the remaining four prisoners at Maze were transferred to other establishments in Northern Ireland and the Maze prison was closed. A monitoring group was set up on 14 January 2003 to debate the future of the 360-acre (1.5 km2) site. With close motorway and rail links, there were many proposals including a museum, a multi-purpose sports stadium and an office, hotel and leisure village. In January 2006 the government unveiled a masterplan for the site incorporating many of these proposals, including a 45,000 seat national multi-sport stadium for football, rugby and Gaelic games. In October 2006, demolition work started in preparation for construction on the site. In January 2009 plans to build the new £300 million multi-purpose stadium on the site of The Maze were cancelled, with politicians saying plans to start the construction of the stadium would not be reconsidered until at least 2012. Discussion is still ongoing as to the listed status of sections of the old prison. The hospital and part of the H-Blocks are currently listed buildings, and would remain as part of the proposed site redevelopment as a "conflict transformation centre" with support from republicans such as Martin McGuinness and opposition from unionists who consider that this risks creating "a shrine to the IRA".